Dr. Abdullah Davoodbhoy completed his MBBCh from Zagazig University, Egypt. 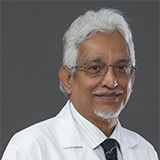 Dr. Abdullah Davoodbhoy work experience spans 32 years in internatonal hospitals namely as an Assistant Surgeon and also as a General Practitioner in Burhani Clinic, Mumbai, India. 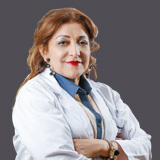 Dr. Abdullah Davoodbhoy has been working in Al Zahra Hospital Sharjah as a General Practitioner since 1990. Dr. Abdullah Davoodbhoy has vast experience in Pre-employment checkups, Periodic routine checkups (well-woman and well-man), School health, Counseling services, Travel advice including pre-travel immunizations and Community outreach and education. Dr. Abdullah Davoodbhoy speaks English, Arabic, Hindi and Urdu.